On May 14, 2011, Russia switched on a countdown timer in the city of Sochi to tick off the days remaining until the 2014 Winter Olympiad unfolds there. The clock should have been in the shape of a ticking time bomb, in order to do justice to horror of anticipating what may be the bloodiest sports contest in modern memory. Just the day before, Russia had gone down to utterly humiliating defeat to tiny Finland, getting blanked 0-3, at the semi-finals of the world ice hockey championships in Slovakia (Russia then promptly surrendered seven goals to Czech Republic and lost the bronze medal as well) . The world was reminded that Russia is inviting it to gape upon the spectacle of Russian failure in 2014; if Russians are unable to meet the high expectations for gold medals the whole country will be forced to bow its head in shame. But even if Russians manage to reap a fistful of gold in Sochi, they still must face the horrifying specter of terrorism. The terrorist attack at Domodedovo Airport last week, likely organized by Islamists from the North Caucasus, claimed 36 lives. Less than a year ago, 40 people died in the March bombing of the Moscow metro, also carried out by Chechen Islamists. Prior to the metro attack there hadn’t been a bombing in Moscow for nearly six years. In summer 2004, militants acting on orders of Chechen leader Shamil Basayev organized a series of terrorist attacks in several cities. The culmination of these attacks was the seizure of a school in the small Ossetian city of Beslan in September 2004. When Russian troops stormed the school, 333 hostages died, including 186 children. Another year, another terrorist attack in Russia. On January 24, a suspected suicide bomber detonated an explosive device in the arrivals zone at Domodedovo, Moscow’s busiest airport. Thirty-five people were killed and more than a hundred were injured. 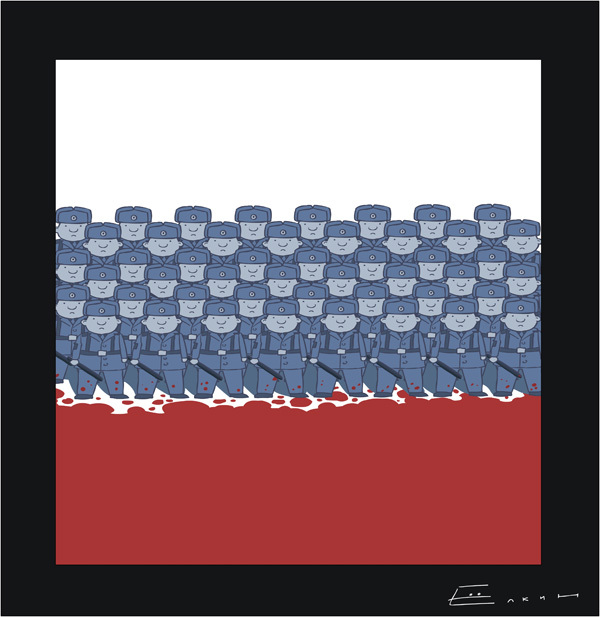 As Vladimir Putin prepares for this year’s parliamentary “elections” and a possible return to the Kremlin in 2012, his “pacification” of the North Caucasus has once again been proven a failure. Not that more proof was needed after last year’s attack on Lubyanka metro station – literally under the nose of the FSB, Russia’s Federal Security Service. That’s when dissident oligarch Mikhail Khodorkovsky can expect to leave the Siberian prison cell where he has been held since October 2003. He’ll serve 14 long, brutal years — and indeed may not live to complete his term. Then again, since he has just been sentenced a second time for the same offense he’s already served years for allegedly committing, what is to stop Russian dictator Vladimir Putin from taking a third bite at the apple. Or a fourth? 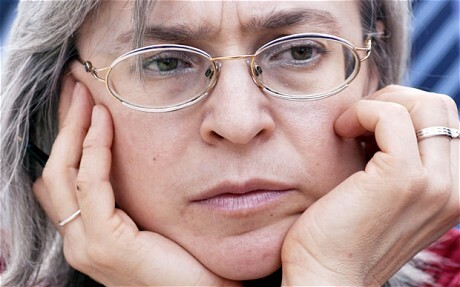 “The verdict has nothing to do with justice,” said Karinna Moskalenko, Khodorkovsky’s attorney. That’s putting it mildly. We have long warned about the danger of the “give Russia a chance” advice. We have warned that if you “give Russia a chance” to do the right thing on Khodorkovsky, you play into the Kremlin’s hands, allowing it to consolidate power and present horrific misdeeds as fait accompli. What can be done now to influence Russia’s manifest persecution of a political rival to the Kremlin? Nothing. And so the Kremlin will continue and persecute more rivals, until there are none. In fact, the so-called Russian “justice system” has been on something of a feeding frenzy of late. And that does not surprise us. They are getting bolder by the minute. Why, it’s almost like Shamil Basayev were still calling the shots. Last week a bomb ripped through a security cordon outside a theater in Grozny, Chechnya. Inside was the regional dictator and homicidal lunatic Ramzan Kadyrov himself, watching a show. Next time, the local rebels were obviously saying, the bomb will be inside the theater and Kadyrov (and his cadres) will be dead. So much for Kadyrov having pacified the Caucasus rebels.